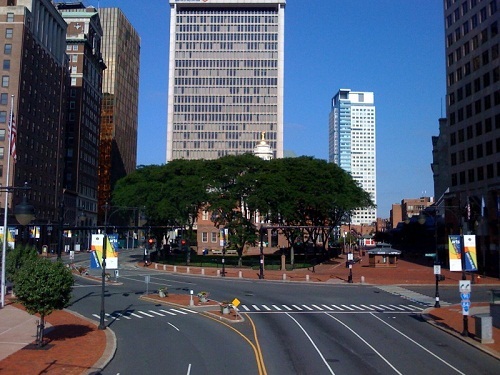 Discover more about private investigators capability, employment and regulations in Hartford. When you need to find a private investigator in Hartford, Connecticut, complete a free consultation with ICS and speak with a licensed private investigator today to tell us about your specific case. ICS only works with experienced private investigators and sub-contractors who meet ICS’s rigorous requirements for investigative excellence. Through our free consultation system, you have the opportunity to speak with a private investigator from ICS before your case begins. To start your free consultation with ICS, complete the online free consultation form, or call Toll Free at (888) 223-6494. ICS is available 24 hours a day and offers rapid response for urgent cases, even on weekends and holidays. ICS services Hartford, Connecticut and accepts most case types including all forms of marital and non-marital infidelity. If you suspect your partner or spouse is having an affair, you need to learn the truth before you suffer any personal or financial harm from the event. Connecticut offers both fault and no fault divorces, which means that if you can obtain proof that your spouse is cheating, you can file an at-fault divorce. With an at-fault divorce, the outcome of your divorce settlement and spousal support may be different, which is why solid proof of an affair can be an extremely valuable tool. Evidence gathered by ICS is admissible in court, where evidence collected on your own might not be. Contact ICS to start an Adultery, Infidelity, or Cheating Partner investigation to get the information you need in a discreet, confidential, and expedient manner. A private investigation can play a huge role in a Connecticut child custody, support, or visitation court hearing. ICS can provide investigative support by locating and obtaining evidence needed for court proceedings. During the course of any Child Custody, Visitation and Support investigation ICS can help you obtain financial, lifestyle, and cohabitation evidence so you are prepared to present your case in a logical and factual manner to a judge. Have you become the victim of a “deadbeat dad” or “deadbeat mom,” who is not paying their required child support payments? Is the custodial parent falsifying their documents to force you into paying more than your fare share in child support? ICS can get the financial data you need so you can take your case in front of a judge. Complete a free consultation to begin your investigation today. Hiring a private investigator from ICS can be the difference between searching for a missing person and reconnecting with that person when you are searching for a missing or lost person in Hartford. ICS private investigators are highly experienced at locating people, such as birth parents, missing children, long lost friends, debtors, scammers, con artists, and more. Call ICS and begin a Locate Lost Persons investigation and find the person you are looking for in Connecticut or elsewhere. Private Investigators work cross-jurisdictionally and are not limited by the regulations that may hamper a police investigation. ICS also provides a wide variety of surveillance and counterintelligence services in Connecticut, using advanced equipment and state of the art techniques to keep you safe and free from unwelcome and illegal eavesdropping. ICS can perform computer and cellular forensics, retrieving data while confirming and removing spyware and other malicious software. Technical Surveillance Countermeasures (TSCM) can be taken by ICS to ensure that there is not a leak of information about your identity, your business, or your personal life coming from your home, office, or car. TSCM involves sweeping for and removing bugs, and other forms of electronic surveillance. ICS performs pre-employment screening nationwide and we have the resources to conduct international background investigations. Whether you need pre-employment screening through our Employee Screening Program, or if you need to run a standard background check on a lover, partner, or stranger, ICS can create a full background profile on your person of interest. This helps you eliminate the constant worry about the criminal or legal history of the people who function in any aspect of your life.